Every year I plant a vegetable garden with several varieties of tomatoes, onions, peppers, eggplant, green beans, zucchini, yellow squash, cilantro, basil, rosemary and thyme. 2011 was not my best year in the garden. Tomatoes were late to set but were coming on strong just in time for the first frost. 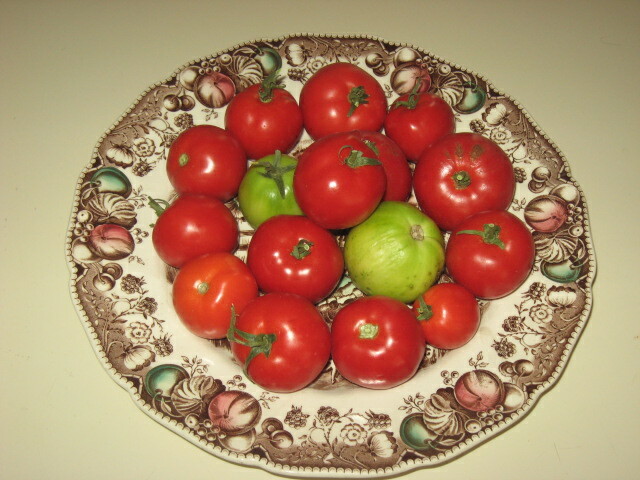 I picked all of the green tomatoes and brought them in the house to ripen. Today is the day that this last memory of summer will create a wonderful fresh tomato salsa to share with neighbors and family this weekend. 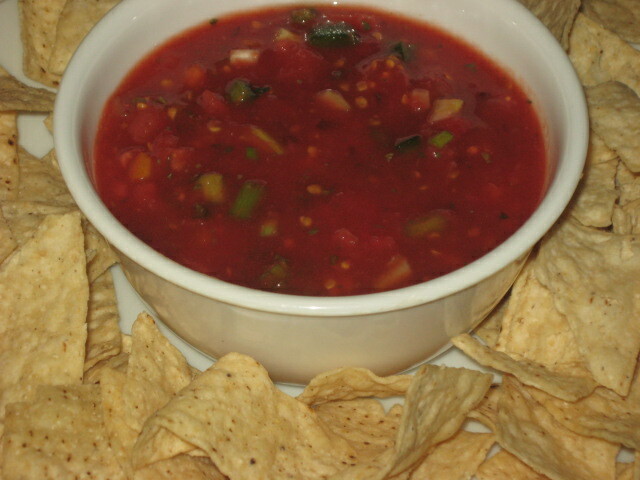 Salsa is wonderful with chips but also a great topping for fresh fish, chicken, or even to dress a salad. Or if you’re desperate for salsa, just eat it with a spoon! My husband and I once observed a gentleman in a restaurant simply take the bowl of free salsa, crush in the free chips for his version of Gazpacho and then leave. I’m not a fan of that behavior, but what you do in the privacy of your own home is your business!